Forget all the risky deals out there! RDC has a sound and sustainable offer for you. secure a R200 discount on each unit for the next 12 months. - To qualify, customers need to supply 12 official written orders, for the next 12 months, in advance. - A R200.00 discount on G-TX units contained in these orders will be passed on to the customer. 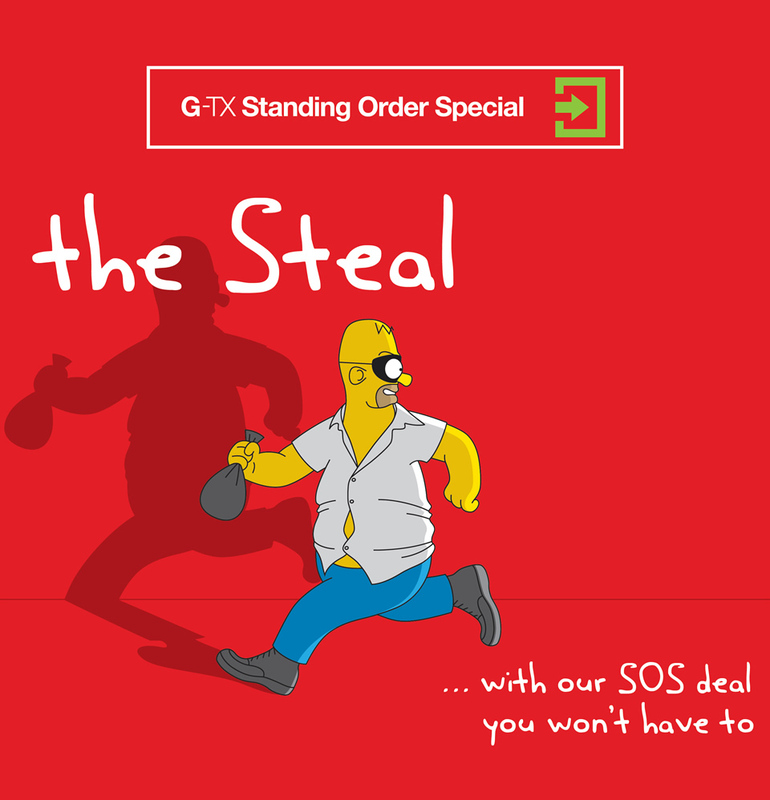 - The monthly order volume may be increased at any time during the Standing Order Special period. New official written orders are required for the remaining months of the Standing Order Special period. - A minimum order of 8 units per month is required to qualify. - Units can only be ordered in an activated state. Un-activated units can be ordered at the standard price. - The standard Monthly Usage Fees are payable for a minimum period of 24 months. - During this period, units are covered by an extended 24-month warrantee. No fault found fees do however apply. Special is required. If a signed RDC main agreement is in place, only a schedule needs to be signed. - The customer is required to honor all 12 standing orders during the Standing Order Special period. previous discounted orders will be invoiced and the customer will become immediately liable for this amount.